This attractive and cleverly structured guide gives walkers ten of the finest challenging walks and scrambles on the high mountains of the Snowdonia National Park in a popular pocketable format. With clear information, an introduction for each walk, expertly written numbered directions, large scale Ordnance Survey maps, eye-grabbing panoramic photographs, and interpretation of points of interest along the way, these guides set a new standard in clarity and ease-of-use.Featured walks include: Llech Ddu Spur, Bochlwyd Horseshoe, Tryfan, Gribin Ridge, Snowdon Horseshoe, Cwm Glas Horseshoe, South Snowdon Horseshoe, Nantlle Ridge, Cnicht & Moelwynnion and Rhinog Fach.One of a series of six books for Snowdonia in the popular Top 10 Walks series. Handy, pocket-sized, full colour walking guides written by experts. 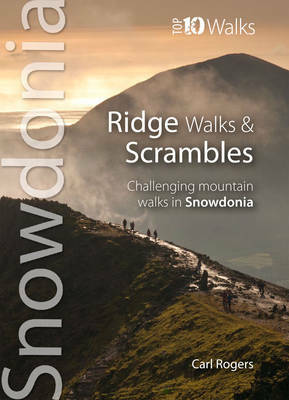 Other titles in the series include: Mountain Walks, Hill Walks & Easy Summits, Woodland Walks, Walks with History and Pub Walks.